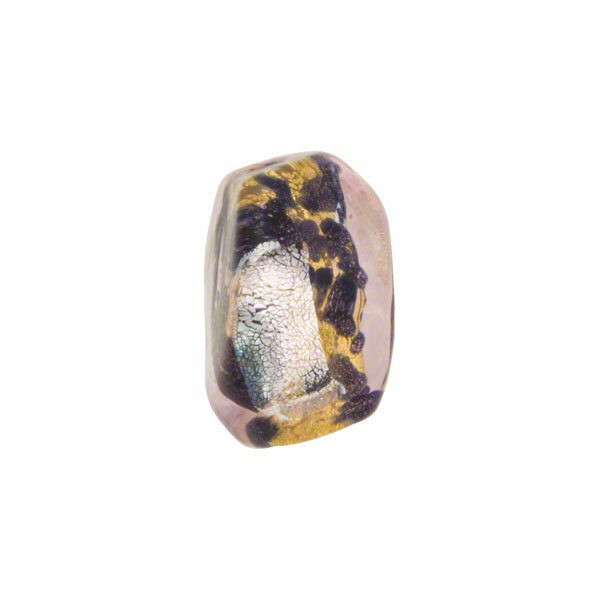 Authentic Venetian Glass Beads in a very elegant pebble approximately 15mm in length (through the hole) and slightly larger around. 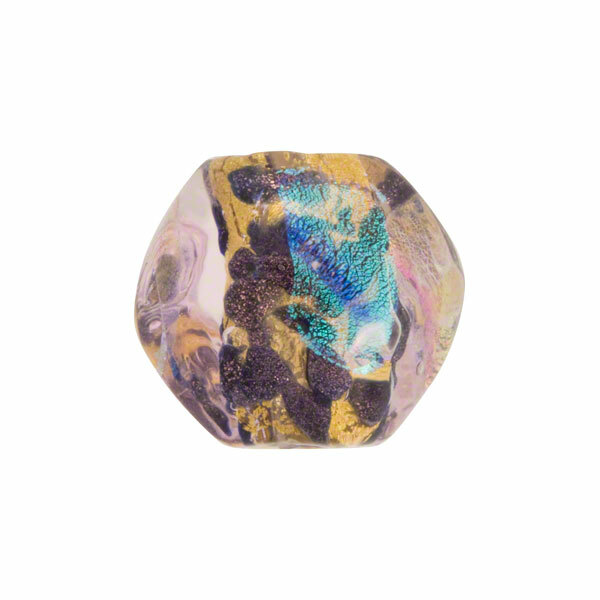 These splashy beads feature a center wrapped in 24kt gold foil with sprinkles of Aventurina, Splashes of Blu Aventurina and highlights of dichroic which is then wrapped in a heavy coating of Rosato a transparent pink, purple Murano Glass and hand shapped into six sided pebble. 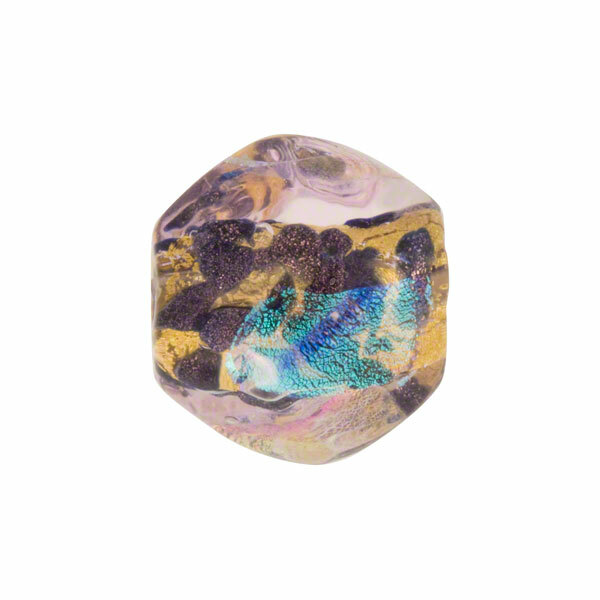 The exact size and shapes will vary slightly due to the handwork with no two ever exactly alike and some bubbles are normal in this product. The size of these is approximately 15mm across and top to bottom.